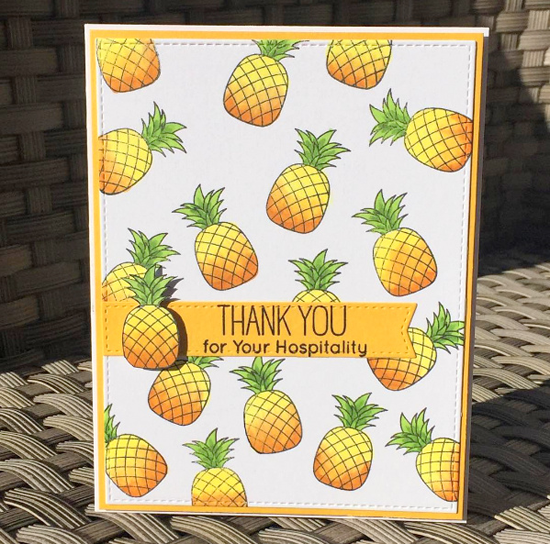 Pineapples are known as a sign of hospitality, so Kathy's card using our Polynesian Paradise stamp set makes sense! Love those trendy and delicious fruits, and Kathy's coloring is delightful. 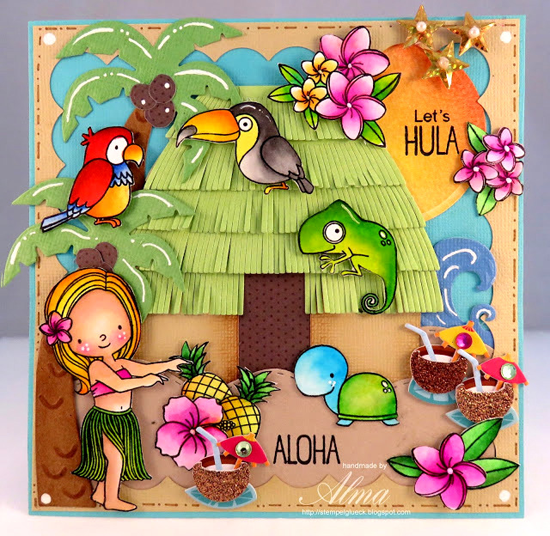 Creative Team Member Francine Vuillème spotted Alma's card on her blog. Francine quips, "What a beautiful scene Alma created! So in love with this colorful card!" It's fun to go all out with our stamp sets and create a masterpiece such as this one. Creative Team Member Joy Taylor spotted Amanda's lovely card on her blog. Joy says, "One word only — stunning!" This elegant card is really rather simple. If you're interested in seeing how Amanda created the pretty watercolor background, you can check out the video she posted on her blog HERE. I love her sparkly use of our Layered Leaves Die-namics. I don't know about you, but I'm still hanging onto summer. This card I spotted on Instagram from creatingincolors using our Stitched Whimsical Waves Die-namics and Fun in the Sun stamp set is the perfect end of summer design! MFT Graphics Guru Laina Lamb spotted Vera's card on Instagram and exclaimed, "So so so pretty!" 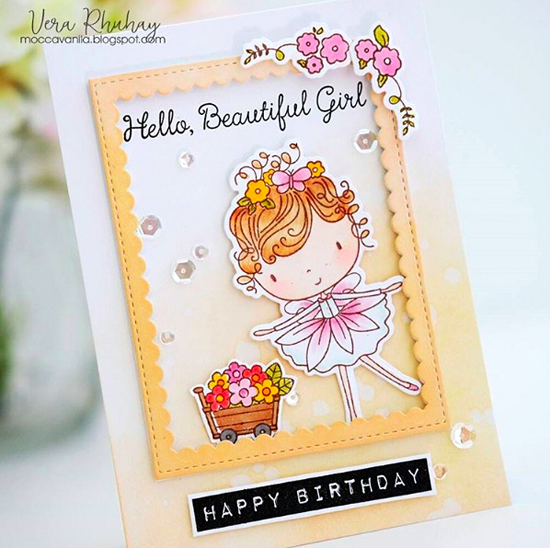 It's such a soft and sweet use of our Beautiful Girl stamp set and Die-namics. Thanks for using MFT, ladies! You've left us inspired, and that's what it's all about! See you tomorrow for another great Sketch Challenge, and look for the next MFT Color Challenge this Thursday, August 25th. What an awesome surprise and honor! Thank you so much! I always enjoy this feature. Such beautiful creations! !